Q. Where are the biographies? The library does not have a single section of biographies like public libraries. Biographies are located throughout the entire collection and are best found using the catalog. In the catalog's Advanced Search, type the name of the person in the first search box followed by the word Biography in the second. 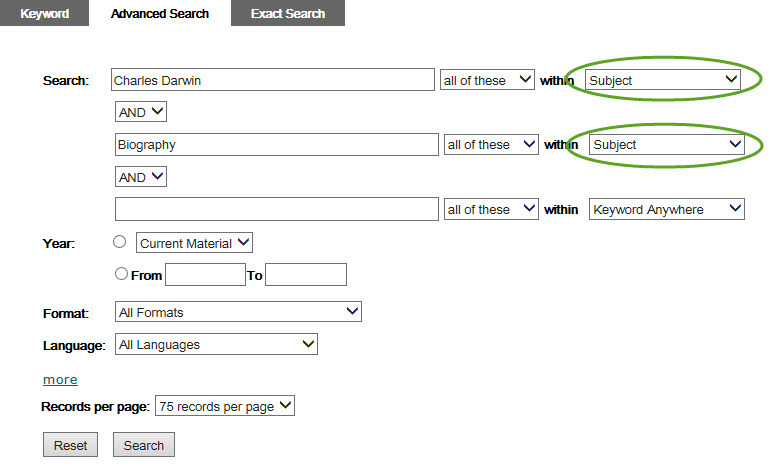 Use the dropdown menus next to each to select "Subject" then click Search. You should now have a list of biographies and autobiographies for the individual.